Or order 24″ by 34″ size prints directly from and receive 10% discount. Wow! This is an amazing post! I’ve been teaching my 4 year old twins about the solar system for some time now. I find it fascinating how they have already chosen their favorite planets at such a young age and they are constantly asking questions about Saturn and Jupiter, their beloved planets. I KNOW they will love these illustrations. It is so much nicer than looking at a ball of Styrofoam that represents a planet. So much detail that is inspiring not only to a child, but to anyone like me fascinated with the solar system! Thank you for writing this amazing post and for giving us access to the maps! Amazing ! What a great idea, thank you for making those maps available, and so accessible ! When will the Pluto map be available online?.. I hope that it will be available later this week. The maps are quite amazing ! would like to have maps of all planets .when will it be available online? Thank you for the question. Only Mercury is not covered of the solid surface planets. We will not add gas planets in this series. Our next plan is to add an irregular body (asteroid or moon). 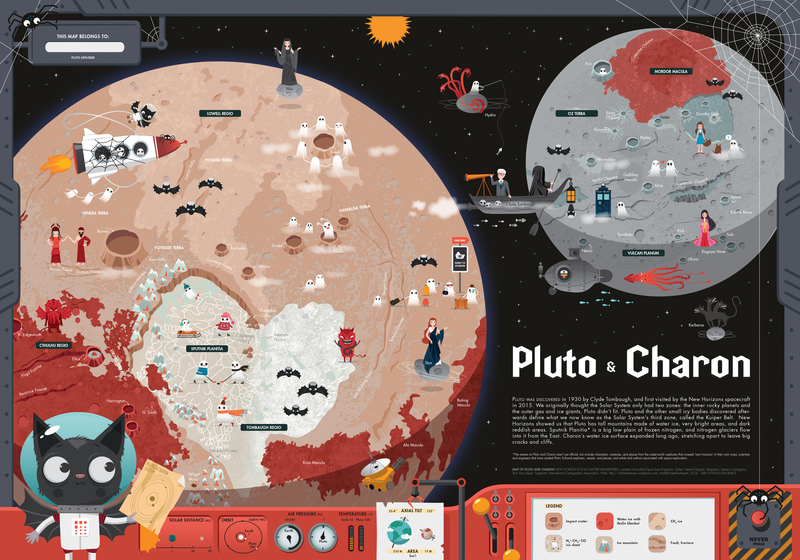 Will the Pluto map become available in other languages too? It is planned but not in the short run. Right now we ran out of resources. PS: congrats to the beautiful MC11 maps! Thank you! It is a pleasure to watch the children’s maps even as an adult.